Dropcam, the worldwide leader in nanny cams, is following up its popular cloud-powered remote monitoring system with a greatly improved piece of hardware so that you can track your home-piece in more detail than ever before. Dropcam Pro doesn't look different than its predecessor, but there's a lot of good new stuff under the piano-black cloak. For those of you that don't know, Dropcam is a pretty straightforward service that acts as your personal CCTV for fun-times-watch-your-puppy system, depending on your level of paranoia/cynicism. 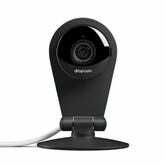 You setup a camera in your house, and then you can easily monitor the video online. Live video monitoring is free, and cloud video recording plans range from $10/ month for a week of continuous recording or $30/ month for the whole month. You also get a price break for multiple cameras or longer subscriptions. 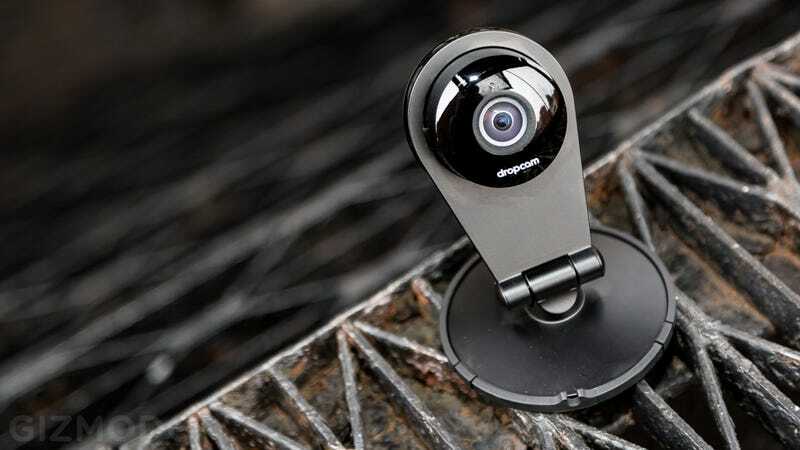 Dropcam Pro is loaded with a bunch of new features that, according to CEO Greg Duffy, were amongst the most requested from the last iteration of the system. Probably the coolest feature is the ability to zoom into different quadrants of the image you're viewing remotely. After zooming in, you can then enhance the cropped portion of the video image—just like in spy movies. This is actually a really smart development, which takes advantage of the new wider angle lens and larger image sensor on Dropcam Pro. The online video streams from the system are 1280 x 720, which leaves a lot of unused resolution on the image sensor, and it's great that the company has developed technology to take advantage of this resolution. Dropcam Pro also now comes Bluetooth LE on board, which the company hopes will be useful for pairing the camera with external sensors. For example, you could get a notification from Dropcam based on motion, light, or temperature changes in your house. The company plans to release an API next year so that developers can build apps and hardware that interface with Dropcam Pro. They're already building towards this kind of functionality with an Activity Recognition beta, which tries to recognize patterns in what happens within the view of the camera and group together different instances by similarity. Is Dropcam Pro going to completely screw up your internet bill? If you just let your Dropcam run for an entire month, it's going to use about 60 GB of upload data, which might leave you in a tough spot if your home broadband upload quota as smaller than that. Luckily, you can either dial back the upload quality or setup a schedule so that the camera is not beaming data up to the cloud when you don't need it to.